Welcome to a new season, a new name and old friends from Hoddesdon Town. For a period of five seasons (1977/1982) we met regularly in the old Athenian League, we were then known as Leyton Wingate. Our two sides last met during the Millennium year in the London Senior Cup, we were then known as Leyton Pennant. And now we meet again, in the Essex Senior League, this time as Walthamstow FC. So, an appropriate programme has to be the FA Amateur Cup Final played out at the old Wembley Stadium in April 1952. 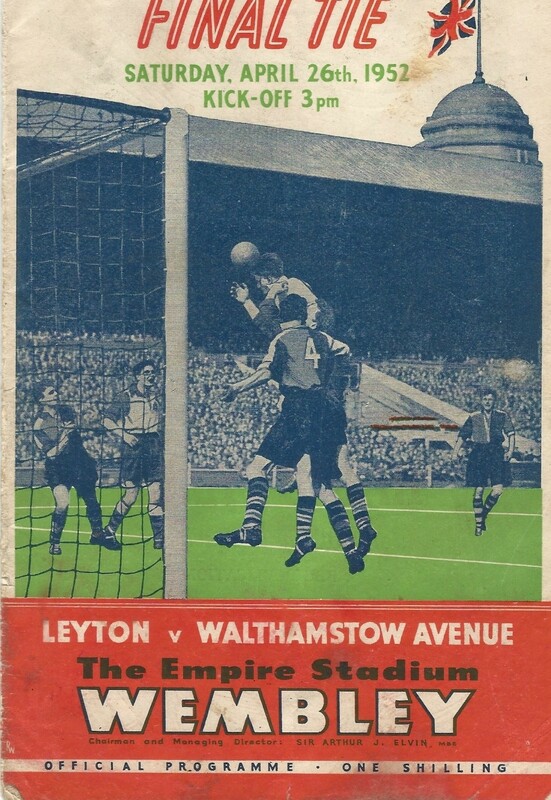 When Leyton challenged Walthamstow Avenue for the cup in front of a near record 98,000 spectators. Come that lunchtime Walthamstow Market must have seemed near deserted as fans had made their way by coach, train and car. That would have included my dad and my uncle, but us boys were left behind. For Leyton it was to be their thirteenth Amateur cup game of the season and it turned out to be unlucky thirteen. Despite being the better side, it was the Avenue who won by two goals to one, with the winning goal coming in extra time through Dennis Hall, who was a late replacement for Ron Horsley. In the Leyton side that day were Ken Facey, who went onto captain Leyton Orient, and Len Casey who transferred to Chelsea before joining Plymouth Argyle. Leyton were captained by Ken Yenson, the only player on his side to be capped at International level. For Walthamstow Avenue they had the services of the England Captain, Jim Lewis, or ‘Little Jim’, to distinguish him from his well-known father, who played before the war. Also playing for the Avenue were Trevor Bailey, the Essex and MCC cricketer and Ken Camis, the first Australian to figure in an Amateur Cup final. 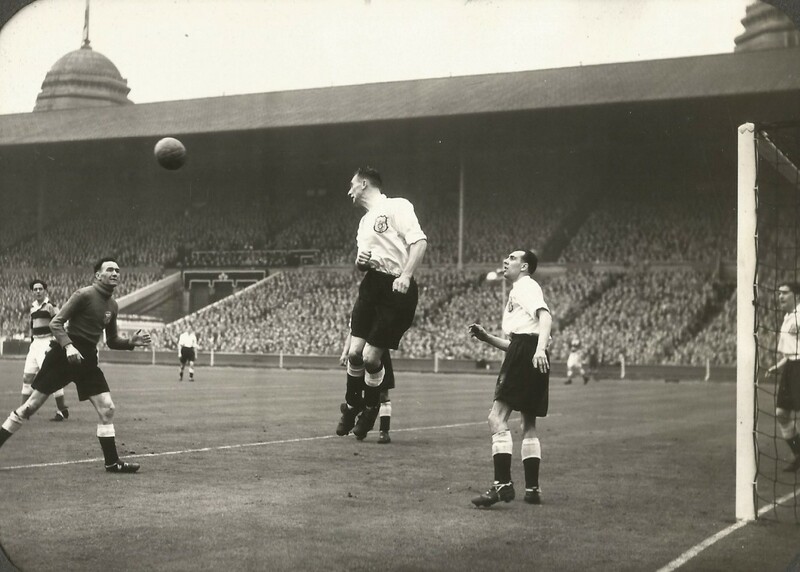 In this photograph we see Sid Sullivan, well out of his goal, with danger being avoided by captain Ken Yenson who heads clear. Also, in shot is left-back Ron Pullinger. Just behind Sid, at deep third man, is Trevor Bailey. An iconic photograph showing the sadly missed ‘Twin Towers’ of the old Empire Stadium. Let’s hope that this year we make it back to Wembley Stadium.